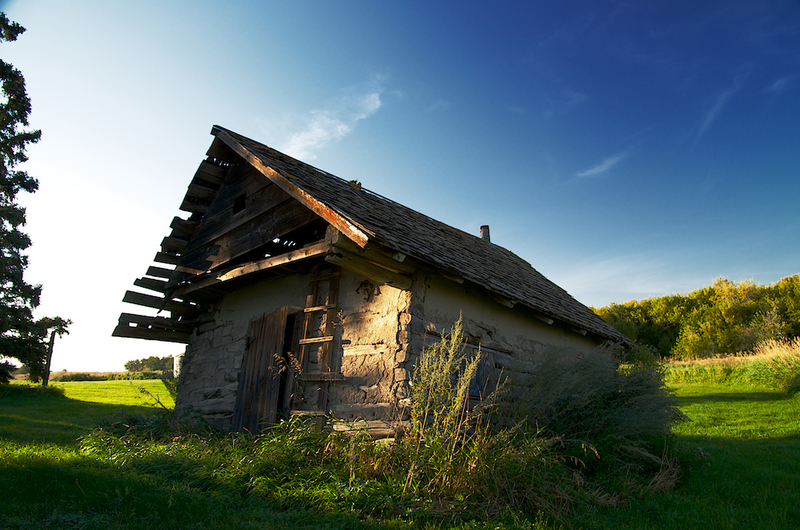 The more I photograph Alberta’s homesteads, the more fascinated I become with them. One of the things that interests me is how they were built. This old cabin is probably well over a hundred years old and still standing due to the use of interlocking logs coupled with mud and straw packed between the logs. After many years of neglect, this house is missing its external layer of wood siding but, with that layer, these homes would have been completely airtight. Add a small wood burning stove and I imagine they were every bit as warm and cozy as today’s modern homes.